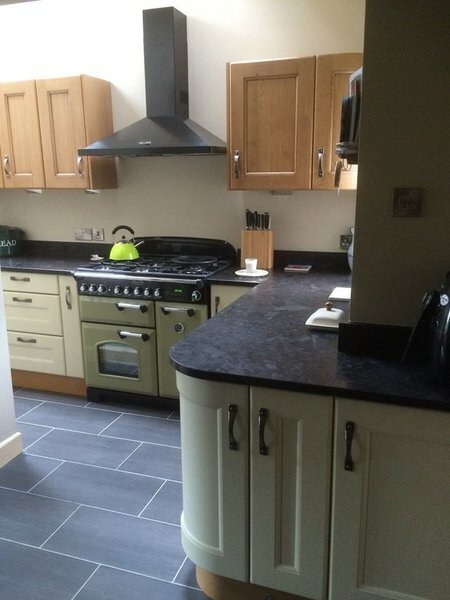 Please visit our website to see the full range of kitchens available. We look forward to you contacting us so we can assist you with getting the kitchen of your dreams. Just had our Kitchen done by Sheffield Kitchen Gallery and we are absolutely thrilled. It is not an exaggeration to say it has transformed the whole house. The Kitchen Gallery Sheffield are true crafts people. They are honest and transparent (no hard sell) and importantly true to their word. They finished exactly on time to the best possible standard. Damo (the fitter) was a true perfectionist paying more attention to details than we would ourselves. Kim (project manager) managed to perfection. We didn't have a moments worry throughout the whole project. If you are thinking of using them we don't believe you could do better. The Kitchen Gallery fitted our kitchen a few weeks ago and did a fantastic job. The fitter and designer were knowledgeable and helpful. They were highly skilled and took pride in their work. We are thrilled with the results and cannot recommend the Kitchen Gallery more highly. Thanks to Kim and the team. What they have all said and more!! We can only repeat everything the previous reviewers have said. 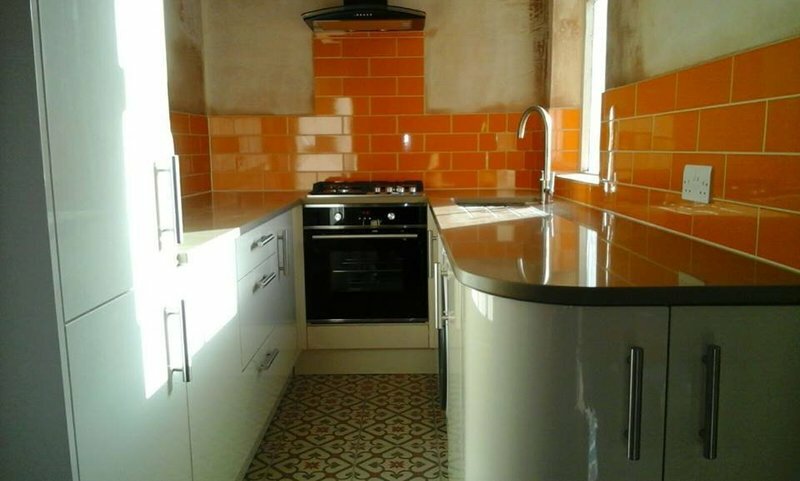 We looked on the refurbishment of our kitchen with trepidation, we expected 2 weeks of absolute hell. We can only thank the whole team and especially Damo (the fitter) for the way they made the experience bearable. They are an excellent professional team of people. 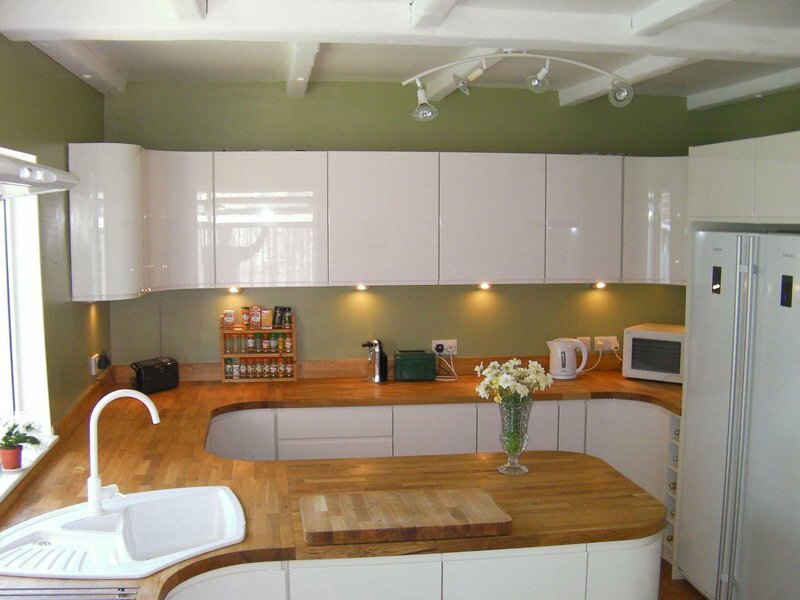 The standard of the workmanship is second to none, the quality of the Symphony and Laura Ashley cabinets is exceptional. 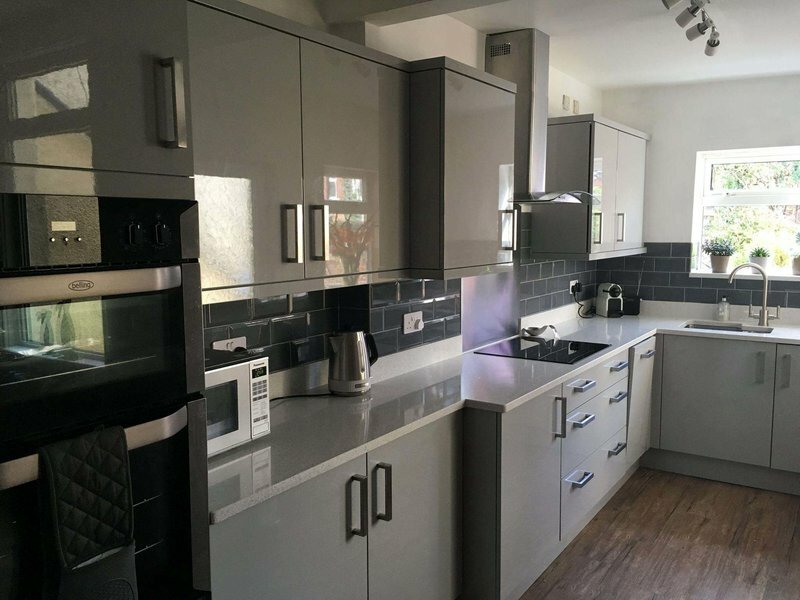 The price is very reasonable for the quality of kitchen and the high standard of fitting as compared with other companies. The Kitchen Gallery team are certainly a happy, highly organised bunch of people, we would recommend them to everyone. Thanks to Kim and his team. Where to begin? a 100 year old house desperately needing some Kitchen TLC. So back to basics and back to brick! Removal of, doors, walls, windows, an awkward chimney breast and falling ceilings. Enter Kim and The Kitchen Gallery Crew to the rescue, New electrics including spots,pendants,sockets,switches and extras where needed, Next Gas & plumbing to suit new layout, then the plastering ceilings,walls,recesses and niches an all outer walls damp proofed. Then the actual kitchen fit! 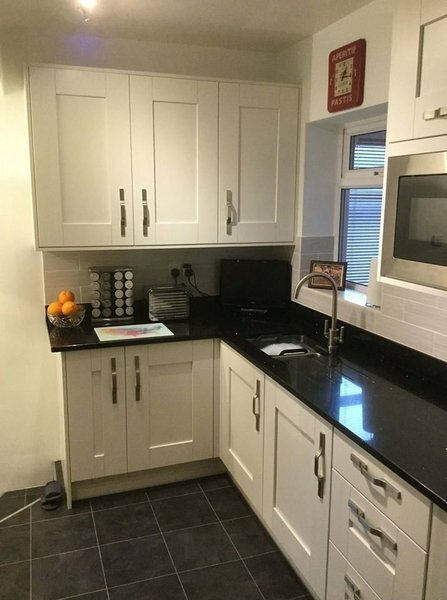 Beautifully designed by Kim and constucted by a very very patient fitter, Then along can the granite mob fitting exceptionally cut Quartz and Granite. The Kitchen was transformed from an Ugly Duckling to a Regal Swan. Thank you sooooo much, to Kim for his patience and expertise, The Electrician for her electrical wizardry, The Gas man & Plumber for making the house warm again, The Plasterers for their Icing perfect plastering, The Granite lads for their fitting Technics and an extra thank you to Phil for his 'No Problem' approach to fitting what was a very difficult project with an even more difficult customer. I love my kitchen and can't believe its mine, I would highly recommend anyone to use The Kitchen Gallery, You will not be disappointed. The kitchen gallery fitted our kitchen a couple of weeks ago and we couldn’t be more thrilled with it, the price was competitive and the workmanship faultless. The whole team brought the job in on time and nothing was too much trouble. Highly recommend Kim and the team. The kitchen gallery in Sheffield did an amazing job on our kitchen, the whole team of workmen were professional, friendly, on schedule, and quite honestly went above and beyond. Price was great, no sneaky added extras on at the end. Can’t recommend highly enough. Many thanks to Kim and the team. 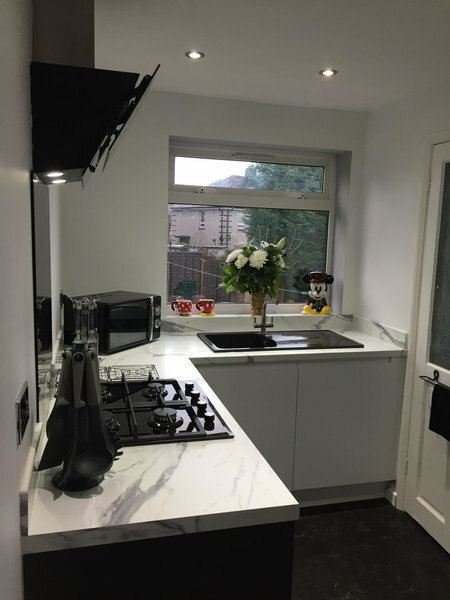 Why choose The Kitchen Gallery ? If there was 10 stars I would have given 10,cannot recommend kitchen gallery enough what a fantastic company and amazing staff they have , we needed to worry about ...NOTHING if we changed our minds on any little thing or added anything Kim was more than helpful helping us make decisions for our choices. 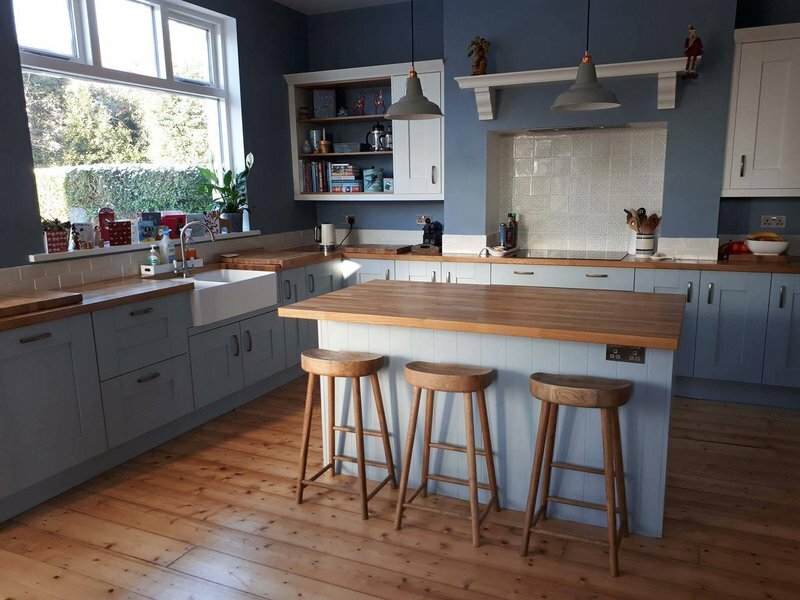 I have not one negative comment to make about this fabulous company, hardworking excellent workmanship, every single thing was organised and sorted efficiently would not hesitate in recommending them in a heartbeat, Thank you for our beautiful kitchen .